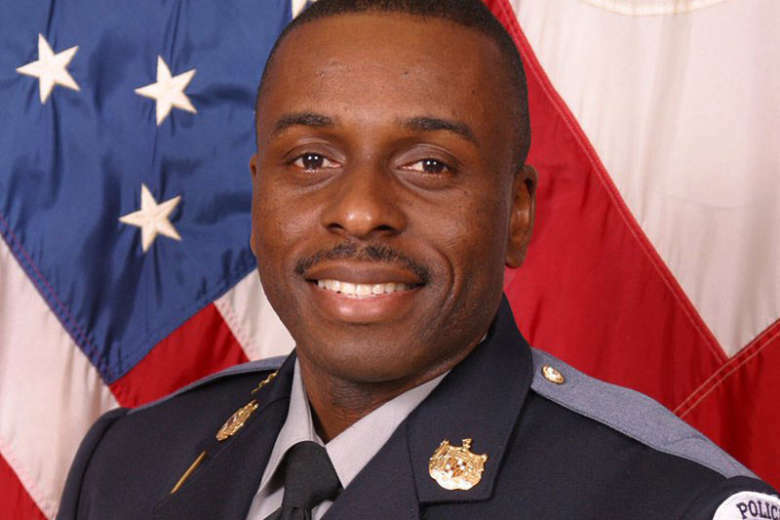 The Prince George's County police announced Wednesday that Mujahid Ramzziddin has been posthumously promoted to sergeant. They also released new details about his shooting, and that of the man they say killed him. WASHINGTON — The Prince George’s County police officer who was killed while intervening in his neighbors’ domestic dispute last week has been promoted. The police announced Wednesday that Mujahid Ramzziddin has been posthumously promoted from corporal to sergeant. In the same statement, they also provided more details on Ramzziddin’s shooting, and the fatal police shooting of the man who police say killed him. In an update to the investigation released Wednesday, the police said that home security video and audio confirmed that Ramzziddin, 51, was shot five times with a shotgun by Glenn Tyndell, 37, on Feb. 21 as Ramzziddin, who was off duty at the time, was intervening in a domestic dispute between Tyndell and his wife in Brandywine, Maryland. The shotgun was found the next day in a nearby creek, the police said. Tyndell took Ramzziddin’s service pistol when he fled, leading the police on a chase through Prince George’s and Charles counties. Ramzziddin never fired it during the confrontation, the police said. Tyndell was holding Ramzziddin’s gun, and had fired two shots at two other officers, when he was shot and killed on MD-210, the police said. The police also announced a candlelight vigil in memory of Ramzziddin, to be held Wednesday at 6 p.m. at the Chadds Ford Community Center, on 7211 Chadds Ford Drive in Brandywine.